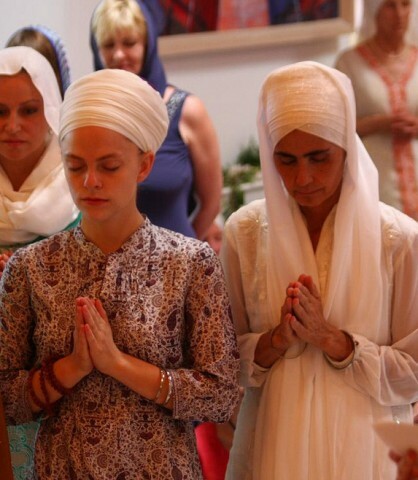 The word “Ardas” literally means “prayer.” But the traditional Sikh Ardas has come to represent a specific form of prayer recited in every Gurdwara program. It is recited before the Guru is transported or brought into Prakaash, just before the hukam is taken, and again when the Guru is set into Sukhasaan. It can also be recited before undertaking any activity of significance, before leaving on a journey, to give thanks, or as a way of daily remembering the Creator. The closing line: “Nanak Naam, Chardee Kala, Tere Bhaane Sarbat Daa Bhalaa (Through Nanak, May Thy Name Forever Increase and the Spirit Be Exalted and May All People Prosper By Thy Grace!) must be used to end the Ardas. It falls within the duties of the Singh Sahib or Sardarni Sahiba to ensure that Ardas is properly done. Anyone in the Sadh Sangat may offer the Ardas. That person should have some familiarity with the Sikh history referred to and should have an understanding of the concepts involved so the prayer can be offered with understanding and not as a ritual. Any words may be used to invoke blessings from the Guru but should not be used as an opportunity to preach or lecture to the sangat. The Ardas should be in a flowing rhythm. 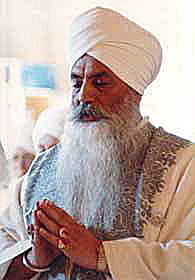 The person offering the Ardas removes his or her socks and washes the hands. Enjoy this beautiful poetic translation of Ardas by Sardarni Sahiba Guru Kirn Kaur of Phoenix, AZ.